The home is the place we are supposed to feel most secure. Now burglaries and other types of thefts on the rise, it’s hard to remain as confident as our parents would have felt in there homes. As a company specialising in home security, KeyWise sees it as our duty to restore our community values. we aim to reinstate the confidence we should have in the security of our own homes. We are offering free security checks to homes in the local area for that reason. A KeyWise home security check involves and experience locksmith and alarm technician visiting your home and assessing various different elements to give you an idea of how secure your home is. we will be checking you have the correct sizes cylinders, the condition of the gear box in exterior doors, window locks, shed and garage locks and window for example. It is a complete free of charge process and there is no high pressure sales, only honest advice. 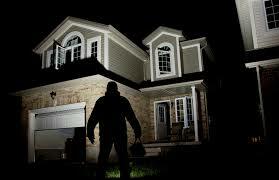 We will leave you with a security check list, filled out with details of how to improve your home security.